BIRMINGHAM, Alabama – Leaders from Japan and seven Southeastern states pledged today to continue building on a longlasting partnership that has stimulated two-way trade and investment while creating nearly 140,000 jobs across the Southeast. Expanding the close economic and cultural ties between the region and the Asian nation was a central message from today’s sessions at SEUS Japan 38, a major conference that formally kicked off in Birmingham this morning. At a luncheon at the Birmingham Sheraton Hotel, Kenichiro Sasae, Japan’s ambassador to the U.S., said the partnership has been a productive one, with Japanese companies now employing 139,000 people in the seven Southeastern states. Kenichiro Sasae, Japan's ambassador to the U.S.
Japan is the top foreign investor in many of those states, including Alabama, which saw $345 million in new capital investment from Japanese companies in 2014 alone. The connections are strong throughout the region, with 170 Japanese companies operating in North Carolina and Japanese firms employing more than 14,000 people in South Carolina. “The friendship between Japan and the U.S. – and particularly with the Southeast – will continue grow,” Ambassador Sasae said. Though the relationship between Japan and the Southeast goes back decades, Alabama Governor Robert Bentley said the partnership is flourishing and poised to reach new levels of cooperation. The SEUS Japan 38 joint forum continues Tuesday with a breakfast speech by human rights activist Martin Luther King III and a closing ceremony at the Birmingham Sheraton Hotel. The annual SEUS Japan meeting alternates each year between Japan and the seven states that make up the Southeast U.S. Japan Association: Alabama, Florida, Georgia, Mississippi, North Carolina, South Carolina and Tennessee. 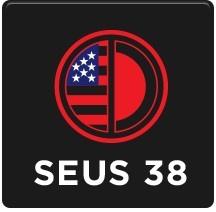 The SEUS Japan Association was founded in 1975 and is closely linked to its Japanese counterpart, the Japan-U.S. Southeast Association, which is made up of top Japanese business leaders and government officials. This is the first time the joint forum has been held in Birmingham since 1984 and the first time in Alabama since 1998, when it was hosted in Mobile.